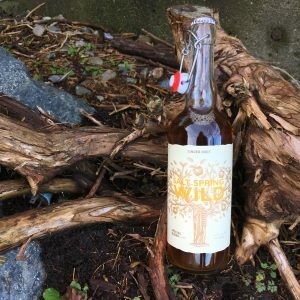 In honour of the CAMRA Vancouver Cider Festival, we, at Brewery Creek, thought it was only right to help shed some light on the wonderful craft cider culture that has grown in BC. It all starts off with this one, seemingly ubiquitous, fruit: the apple. Is one of the most commonly consumed fruits in the world, it has grown in the temperate climate of the Northern Hemisphere for many thousands of years. Along with that, making a fermented beverage from its juice seemed only natural. This is something that can happen quite readily on its own; like wine, there is yeast that naturally occurs on the skin of the apple which allows the juice to ferment naturally. Over time, the process of making cider became more refined and specific cider apple cultivars were developed. 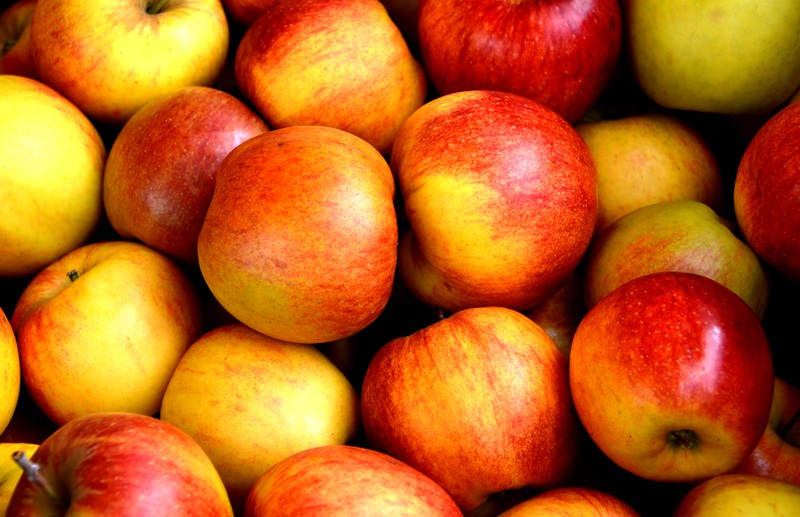 The main types of apples used in cider are sharps, sweets, bittersharps, and bittersweets. Sharps contain the highest acid content, at the sacrifice of sugar content, providing a refreshing note to cider. Sweets are pretty self-explanatory, they have lots of sugar to provide more of the alcohol. When used alone they do not make very interesting cider. Bittersharps tend to have a nice balance of sugar and acid content with some complimenting tannin. These make great single varietal ciders. Bittersweets have a fairly high sugar content with more tannins, which provide bitterness. Besides these types, what makes a cider apple different from most store bought apples is that they generally have a lower moisture content and more sugar. The basic process of making cider starts in the orchard. Apples are picked usually late summer to early autumn. From there they are crushed and turned into pulp, which in turn is put into a press where the juice is squeezed out. Once the juice is acquired, all that remains is to add yeast, or let the naturally present yeast take over. So what makes craft cider so different from the mass produced stuff? There are many differing definitions and opinions on the matter but it really comes down to a few things. The craft producers use a very high amount of pure apple juice which is not diluted with water or from concentrate, for that matter. They tend to use more hands on techniques for the cider making process and use certain heritage varieties as opposed to whatever apples are available in the market. Also the batches tend to be smaller and with a slower and longer fermentation process. All this makes for a more satisfying and tasty cider. Like craft beer, craft cider has taken off in BC. This is only natural as BC has an excellent climate for apples. It also seemed to fill a gap in the market place for those who did not like beer or wine, and it also caters to those who are gluten intolerant. Most of the cideries in BC seem to be concentrated on Vancouver Island and the interior. We, at Brewery Creek, have a well curated cider section dedicated to what we think is some of the best cider BC has to offer. 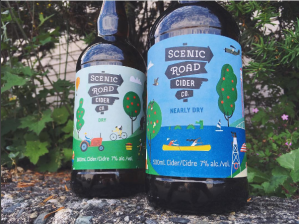 Some of our favorite brands are: Merridale Cidery, Sea Cider, Left Field Cider, Naramata Cider Company, Salt Spring Wild, Dominion Cider, The BX Press, and a handful more. 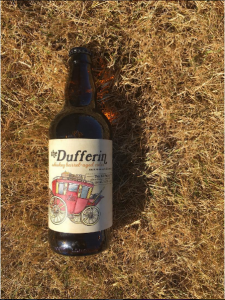 The variety might seem daunting at first, but like our beer, we are always more than happy to help find the right one for you. If you’re looking for something festive approaching the holiday season, try making a German Glühmost, a spiced hard cider. Start by warming 1-2 liters of cider on the stove with a few slices of lemon. Toss in a few star anise, cloves, and a cinnamon stick (ground cinnamon works as well, use just a pinch). Heat it until it is hot, but not boiling, and let it steep for 20 min. Strain and enjoy! Just like hot apple cider but for adults. If you’re looking to boost the flavor, honey or brandy do the trick. Recipes are great but this is something you can tinker with. Like I always say: Every drink is an experience and happy cider hunting!